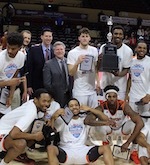 BOWLING GREEN, Ky. -- The defending Mid-South Conference regular season champions will have some work to do in order to repeat that title, league officials announced Friday. UPIKE was picked to finish second in the Mid-South conference by a narrow margin, just behind Georgetown. 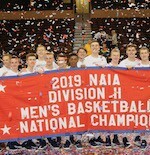 The Bears garnered 45 points and three of the eight first-place votes, while Georgetown earned 47 points and the other five first-place votes. Pikeville finished 28-5 last year, 11-3 in MSC play, and earned a bid to the NAIA national tournament. The Bears lost the services of 2018 Mid-South Player of the Year Darrion Leslie, but still return two all-MSC players in Jayvian Delacruz and Jordan Perry. UPIKE's season begins next weekend with the UPIKE Tip-Off Classic. Pikeville's first game is at 8:00 p.m. Friday against Central Penn and then it faces Florida National at 4:00 p.m. on Saturday in the East Kentucky Expo Center.